When it's this hot, time is best spent at the beach. 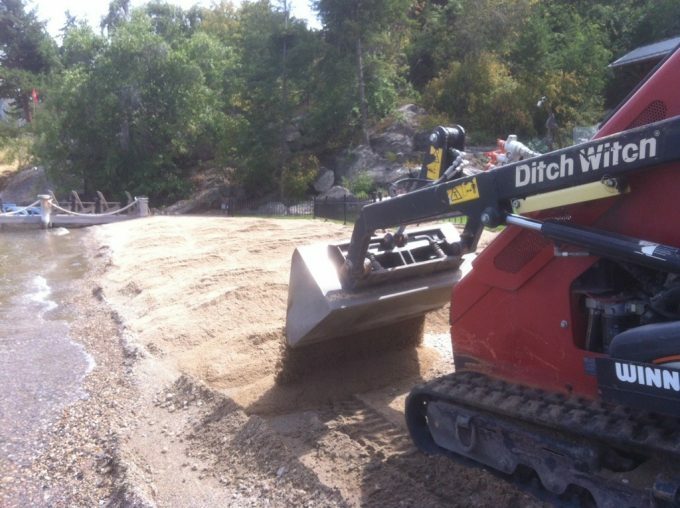 Last week, Eco-Edge renovated a gravel beach carefully transporting several loads of screened sand over an existing landscape. With the right equipment and access to the best material the project turned out great. When considering your next topsoil, mulch, or landscape product purchase consider the convenience of using your credit card with Eco-Edge. Frequent flyers or points collects now benefit when landscaping their yards.